Have you worked in a hospital yet? If not you NEED to. This is not a ‘requirement’ for medical school but having spent time in a hospital, even if just a work experience and/or volunteer role will give you a foot up on the process. There are 2 reasons for this, firstly on your CV it looks good, it shows commitment and that you have done your research. Secondly it will also help you with understanding what you find interesting, where you might like to specialise and finally it can also show you what the job is really like. Med School in a Box, great if you don’t have time to go to medical school! So you are committed to medicine, you have taken science A Levels and are working hard to get 3 A* to maximise your chances of getting in. At this point you should have already looked into all the medical schools however now you need to dig a bit deeper. What are the differences between the medical schools? While all universities are different, medical schools are a whole new level and so understanding the difference can make a difference with not only getting into a medical school but also your speciality training later down the line. There are 2 obvious major aspects to each medical school, the university and the hospital it is attached to. Look at what all the hospitals specialise in. Understand the course style, how it is structured, how it is taught. Check online to see what students have said about the medical school and what kind of people they are. You may find that some ‘types’ of people favour specific medical schools. As an example you may find that some medical schools have a lot more people who are very good at science but not so good at people skills, then other medical schools that have stronger people skills. Look at the main lecturers at the university, what they have focused on and what areas they are strong in. Now you have to consider what university suits your personality. Are you great with people or do you struggle in social situations? Are you able to remember pie to 75 decimal places or are you normal? Do you learn better in a practical environment or are you better just reading a book/sitting in a lecture? Are there aspects of medicine that you really like or is there areas that you really struggle with? 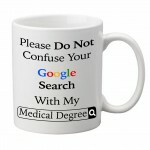 Please do not confuse your google search with my medical degree. A must for most doctors out there! Most people will not have decided what speciality they want to go into, and really you shouldn’t. You should keep an open mind but you may still know there might be some specialities that don’t suit you or areas that you will do better in. If for example you hate children then paediatrics will not be for you. If you really are not good at talking to people then you will probably be better with a surgical speciality. Once you are able to either rule some things out or narrow down, you can then start to move through a few more universities. And that ends How to get into Medical School Part 2. To see How to get into Medical School part 3, click here. Make sure to like us on Facebook,follow us on twitter or +1 us on Google to keep up to date with all the latest help advice and general great stuff from Medinc. What is How to get into Medical School Part 1? So you have decided you want to go to medical school? How much research have you done? How prepared are you? How committed are you? Well the How to get into Medical School Part 1 Guide is a great place to start. You need to be committed! The first thing you need to know about becoming a medic is you need to be 100% committed. Firstly to get into medical school, then to get through medical school and finally to survive one of the most stressful jobs in the world. There is a reason the medical profession has one of the highest suicide rates of any profession in the world. You need to start young! Your first ‘choice’ on the road to becoming a medic is when you choose your A Levels. For some of you this has already passed, if that is the case, there are other options that will be covered in another article. 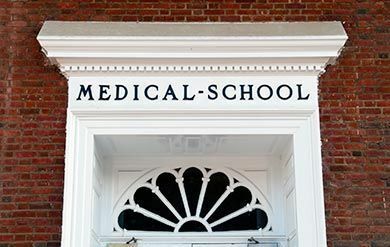 For the rest of you, take a look at different medical school entry requirements. You will need at least 3 A levels, to stand the best chance you should have Biology, Chemistry and either Maths or Physics. All of these need to be A or A*. Each university has different requirements so make sure you check out the universities you are interested in before choosing your A levels. Too many people have chosen their A levels and then at the end of year one looked and found they cannot apply to the university they want to go to. Even if the medical school that you want to go to doesn’t need all 3 to be Sciences and Maths. It is probably better to take them regardless because you will need to know it all when you get into medical school. The first 2-3 years is very science and classroom heavy. If you don’t have a strong understanding of the sciences then you will struggle. And that ends How to get into Medical School Part 1. Part 2 will be coming soon. Make sure to like us on Facebook, follow us on twitter or +1 us on Google. So you are here for 1 of 2 reasons, either you are looking to go to medical school and are just not sure where to apply and want to maximise your chances. Maybe you just couldn’t resist knowing what the easiest UK medical school to get into is! Please note we are using data from the 2016 academic year applications. Is it as simple as the easiest and the hardest? Well that is really for you to decide and also will depend on the individual. Each university has its own set of requirements and takes students of different styles. You will often for example find that each university will often churn out a lot of doctors who end up doing the same speciality. This is because that university attracts and likes the personality type that makes good doctors of that speciality. Cambridge is the easiest UK Medical school to get into! When you look at likelihood of getting into medical school Cambridge and UCL are the 2 easiest UK medical schools. I say that because for every place in those medical schools there is only 6 applicants. That compared to an average of 9 (8.8 to be precise) across all medical schools. Brighton and Sussex is the Hardest UK Medical school to get into! If you are looking at who would not be the easiest UK medical school then go to the south coast. The most over subscribed medical school, Brighton and Sussex had a whopping 14.3 applicants for each place. The prestigious University of Bristol Medical School came in second with a ridiculous 13.9 applications for each place. These 2 medical schools by far beat the next closest medical school was Aberdeen with a hefty 10.9 applications. And that is only UK/EEA applicants! When you consider that is only the UK and EEA applicants. There was over 38,000 UK applicants applying for UK medical schools with a further 8,000 applicants from within the EEA (European Economic Area). On top of this there is then a further 11,000 international students. For international students the hardest medical school by far is University of Bristol Medical School, with a scary 37.4 applicants for each place. In contrast Aberdeen while very over subscribed for UK/EEA applicants, has a very easy 2 applicants for each place making it the easiest uk medical school for international students. After that last paragraph your blood may be boiling, you may be thinking those places should be going to British students and not out to international students. Maybe you are thinking of contacting your favourite newspaper the Daily Mail and make them aware of this travesty! Before you do, please just consider this: Medical school is VERY expensive to run. Even with the current £9k a year that students pay it doesn’t even scratch the surface of the actual cost of training these doctors. International students therefore pay massive fee’s to study at these universities. This means the university is then able to use those funds to make more places available for UK students. So international students = more UK students? Yes, that is right. If we blocked international students from coming to our universities then we would actually end up with less places in UK Medical Schools. If anything we should expand the number of international spaces available. That would also allow us to train more UK students.